If craft beer and pizza are what you're after, a new restaurant is need-to-know. Called Blast & Brew, the recent arrival is located at 55 River Oaks Parkway (at the corner of North First Street) in North San Jose. 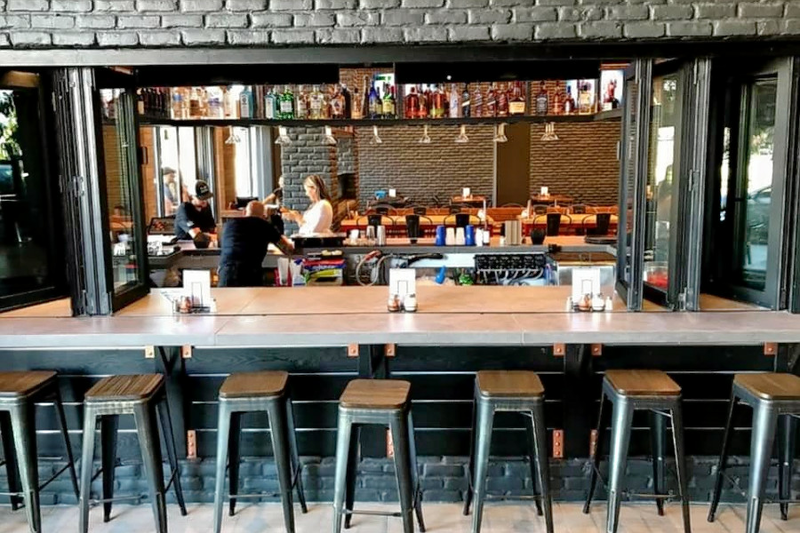 The spot adds around 30 self-pour beer, wine and cider options to its build-your-own-pizza choices. On tap are local breweries like Drake's, Lagunitas and Firestone-Walker, sold by the ounce or pint. The new arrival has garnered a positive response so far, with a four-star rating out of 11 reviews on Yelp. "I'm not much of a drinker, but their selection was excellent. Thoroughly enjoyed the cider," Yelper Roxy A. said. "Prices are reasonable, food was decent. I like the tapas style during happy hour." And Kallan C. praised the concept and selection of beers, but wrote, "When you are pouring, you will need both hands, as you have to hold your card while you pour. Could be a little easier if you were able to select what size you wanted rather than guessing." Interested? Stop by to welcome the new business to the neighborhood. Blast & Brew is open from 11:30 a.m.-2:30 p.m. and 4:30 p.m.-10 p.m. Monday-Thursday, 11:30 a.m.-2:30 p.m. and 4:30 p.m.-11 p.m. on Friday, 11:30 a.m.-11 p.m. on Saturday, and 11:30 a.m.-9 p.m. on Sunday.